Organic Chinese Black tea from Keemun makes a smooth full-bodied brew of this traditional breakfast blend. 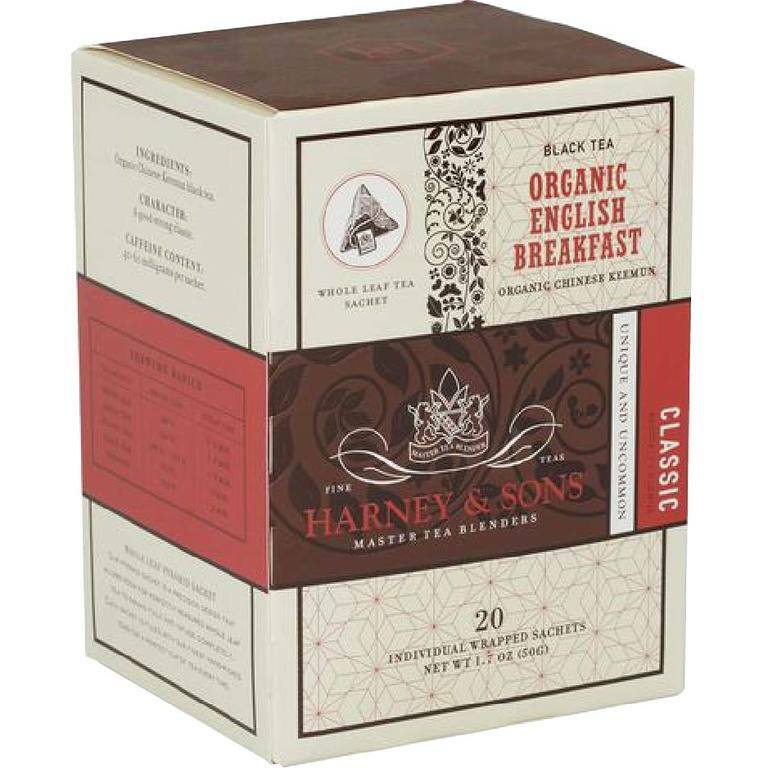 It's easy to have your morning cup on the go with our box of 20 individually wrapped tea sachets. Each wrapped sachet brews a 12 oz cup of tea. Caffeinated. Kosher.